Well hello there! I’ve been MIA off the blogosphere but I hope for good reason. Since my last post I finished school, up and moved to a new city, and, most importantly, got a human sized kitchen!! To be fair, people with actual normal kitchens think mine is still tiny but I don’t mind, I have a real counter and a dishwasher and it has caused me to go a little out of control. In fact, I’ve been so over excited that I regularly have to lure people over for dinner in order to compensate for the excessive amount of cooking I’ve been doing. Lets say I’ve come a long way from the days of having to put my dish rack on my bathroom sink during dinner parties because there was so little space. But I digress. So here I am back again and what better to start with than a truly awesome recipe. 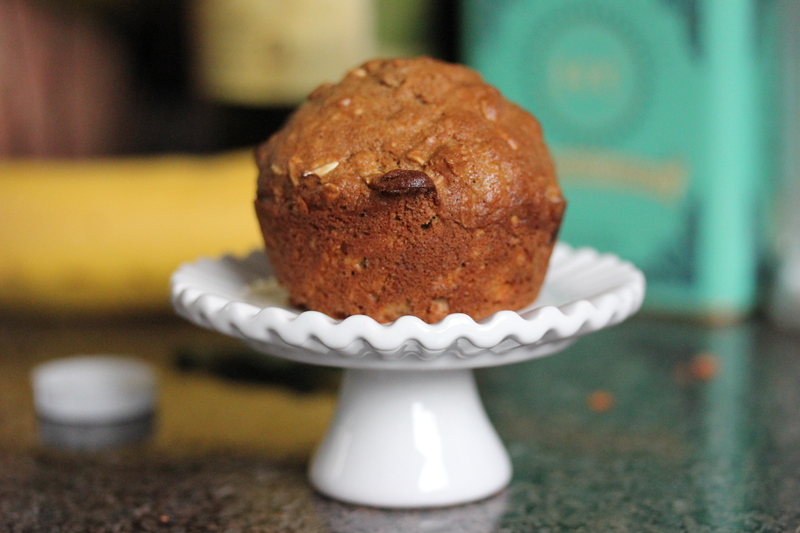 Over the holidays I made quite a few pastries and other treats, from pies to breads to cakes, but almost nothing was more well loved that these muffins. I don’t know what it is about them – maybe because they’re hearty, not too sweet, and full of goodness – but people love them. Originally adapted from Martha Stewart (my spirit animal), I’ve made these about 10 times and thus have tweaked the original quite a bit. The best part is that they are extremely forgiving, unlike most baking, and it is so hard to mess them up. Also they only use one bowl – because even those of us who have dishwashers still hate excess dishes! I’m sure there are many other combinations that you could replace the carrots and banana with – these are super versatile so don’t be afraid to experiment! Preheat your over to 400 degrees. 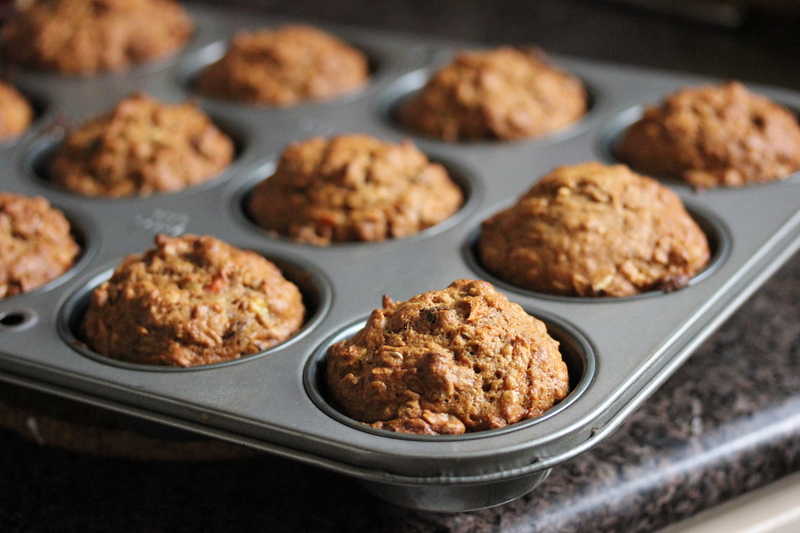 Butter a 12-cup muffin pan and set aside. In your bowl, combine the flour, sugar, baking soda, baking powder, nutmeg, cinnamon and salt. Mix well. 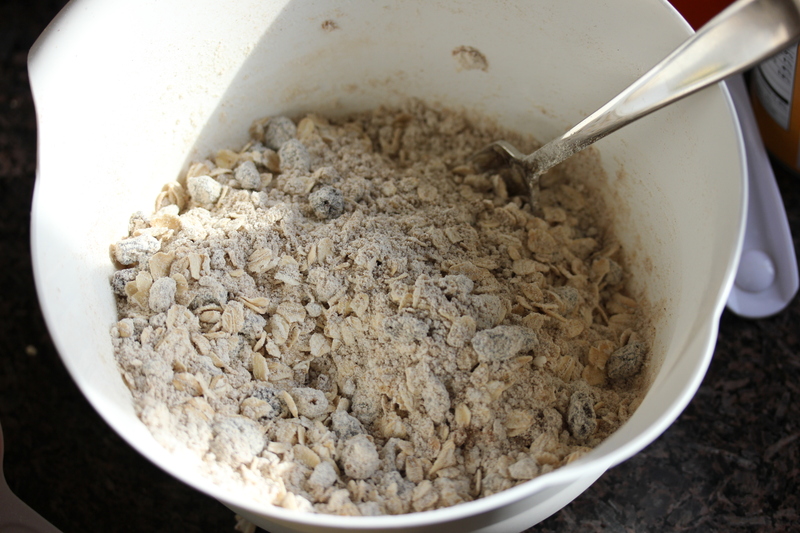 Add the oats and raisins and mix until fully combined. 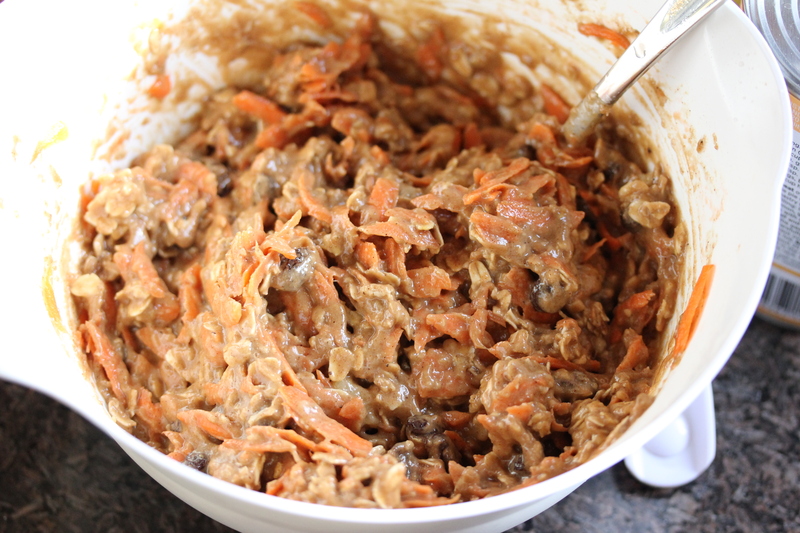 Add the water, oil, egg, water, carrots, and banana. If you want to be a real pro, you can mash the banana separately, but if you’re lazy like me you can throw it in whole and just combine it the best you can. Make sure all is mixed and well combined. 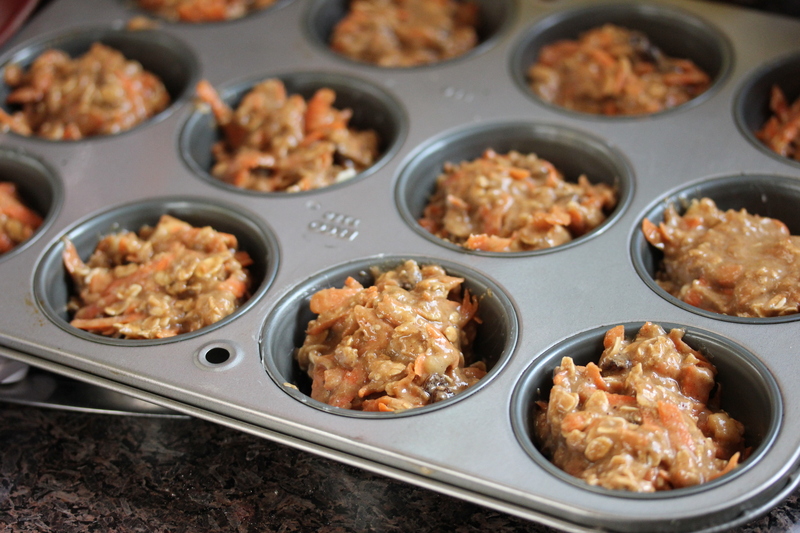 Fill the muffin pans so that they all have an approximately equal amount of batter (probably about 1/4 cup each). Put into the oven and let bake for 23 minutes, or until a toothpick/fork inserted into the biggest muffin comes out clean. Let cool for a few minutes and enjoy!